The Cyber Victoria Schools Challenge, supported by the Victorian Government, is an initiative that aims to ignite interest and awareness in cyber security careers by empowering students to test drive cyber careers and build their foundational skills and understanding of the cyber security field. The challenge is a “Call to Action” for all schools and tertiary institutions to register students and complete the Cyber Security Experience. The Victorian Government will award the Victorian schools and tertiary institutions with the highest rate of participation. Victorian students will virtually participate in challenging real-world cyber scenarios in the Optus Cyber Security Experience that will allow them to discover the skills and tools used by cyber professionals and explore the vast number of careers in cybersecurity. Once completed, each student will receive their Cyber Resume and Certificate of Completion. The Victorian Government is supporting teachers to complete the Cyber Teacher Professional Learning program. This program aims to build teacher knowledge and confidence in teaching cyber topics and assist students undertaking the cyber skills challenges and journeys found within the Cyber Security Experience program, sponsored by industry partner Optus. The Day of STEM Optus Cyber Security Experience is an interactive web platform, powered by LifeJourney that enables students to take a seat beside the Optus Cyber Security team and test drive a day in the life of six cyber professionals. Click on the video to learn more about the Interactive Cyber Security Experience sponsored by Optus. The Cyber Victoria Schools Challenge, supported by the Victorian Government, is an initiative that aims to ignite interest in cyber security careers by empowering students to test drive cyber careers and build their foundational skills and understanding of the cyber security field. 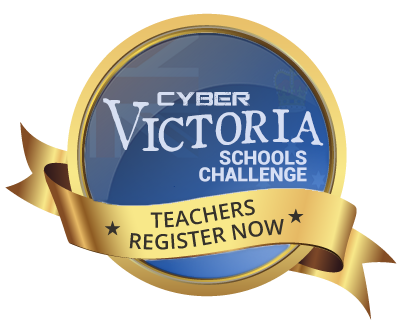 STEP 1 - Register your school or institution here for the Cyber Victoria Schools Challenge on the Optus Cyber Security Experience registration page. STEP 2 - You will receive two emails to begin the program, one to confirm your email address and another to activate your account. STEP 3 - After login the teacher will be guided to the instructor dashboard where you will find the Student Registration Key and URL your students will use when registering. Students will require an email address to register. STEP 4 - Explore the Cyber Security Experience as a student to help you guide the student experience. Use the student key or click on your account name in the top left of the screen selecting student mode. STEP 5 - Take your students through the Cyber Security Experience, giving them the opportunity to explore mentor journeys, experience the cyber situation, and take part in a range of cyber challenges. STEP 6 - After completing the program with your students, why not share student and teacher perspectives about cyber security using social media and multimedia. STEP 7 - Students and teachers can return to the Cyber Security Experience program any time by using login details. STEP 8 - Teachers complete the Cyber Teacher professional learning program. Cyber Teacher Scholarships are available! Program is recommended for students in Years 7 - 12, and TAFE. Primary schools are welcome to participate. The 2018 Cyber Victoria Schools Challenge Awards were held at the Australian Centre for the Moving Image on May 30. The awards brought together a diverse audience of school educators, students, parents, teachers, tertiary leaders, as well as industry and government representatives. The event centred around the experience of Victorian schools that participated in the challenge and their key learnings. The content of the challenge consisted of students participating in the Optus Cyber Security Experience and Cyber Teacher professional learning programs. 2,000 Victorian students participated in the challenge from over 175 Victorian schools with over 30 teachers completing the Cyber Teacher professional learning program from September 2017 – May 2018. To recognise the accomplishments of the Victorian schools, the following awards were provided to top performers. First Victorian Cyber Teacher: Julie Aitkin, Dandenong High School. Special recognition award for becoming the first certified Cyber Teacher in Victoria. Cyber Teacher Community Champion: Deepika Chandran, Mt Hira College. Special recognition award for advocacy of the importance of Cyber in the school and broader community. Girls in Cyber Champions: St Mary MacKillop College, Swan Hill. School with the highest participation rate for girl students completing the challenge. Highest Performing School: St Joseph’s College, Geelong. School with the highest performing students in the challenge. Cyber School Champion: Mount Waverley Secondary College. School with the highest number of participating students at a Victorian school. Cyber Teacher Champion: Matt Hall, Mount Waverley Secondary College. School with the highest number of certified Cyber Teachers at a Victorian school. Minister’s Cyber School Award - will be given to the top schools with the highest participation percentage. Victoria Cyber Teacher Award - will be awarded to the top teachers who complete the Cyber Teacher program and run the most number of students through the cyber experience program. All participating teachers are eligible to join the Cyber Teacher program, a professional learning opportunity to discover how to integrate cyber security in the classroom. Great prizes to be won for each year level. What resources are needed in order to participate? Students need a computer and internet access. Program takes approximately 1-2 hours to complete. Students and teachers have the opportunity to explore further resources and field trips. Additional Teacher Resources are available to build knowledge in this exciting career. The Victorian Government is accelerating cyber skills development for Victorian schools, universities, tertiary providers and is positioning Victoria as the hub of cyber security in Australia. The vision for Melbourne to become Australia's technology hub of cyber security and cyber security skills development in Australia. The Project aims to provide Victoria the highest number of cyber security graduates and workforce ready cyber professionals in next five years.